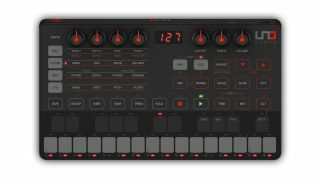 IK Multimedia's first foray into the world of hardware synths has been quite the success and one of the best mono synths for your money is now just $149.99, that's a saving of $50. Despite being totally new ground for the iOS and desktop developer, the Uno Synth doesn’t come without heritage; Italian synth brand Soundmachines and Alesis Andromeda designer Erik Norlander both had a hand in its creation. Uno Synth is an excellent-sounding, versatile analogue monosynth, and you do get a lot for your money. The presets offer a ton of highly usable sounds, and we could certainly see this becoming a go-to instrument for classic basses and leads. The arp and sequencer are great for inspiring ideas too.